The arrival of summer always makes me feel a measure of nostalgia, but this year the feeling is particularly acute. My daughter just finished nursery school and is scheduled to start kindergarten in late August, which means the next few months represent a bridge between two very different chapters of her life. I realize this transition will seem far less significant as she grows older, and I might not be thinking about it so much except that—to borrow an increasingly popular cliché—kindergarten has become the new first grade. Our findings suggest a shift toward more challenging (and potentially more engaging) literacy and math content. However, they also highlight a concerning drop in time spent on art, music, science, and child-selected activities, as well as much more frequent use of standardized testing. As the UVA team indicated, there are potential benefits to the new regime. Yet it is indeed troubling that, in their eagerness to make kindergarten more “academic,” teachers and administrators seem to be reducing opportunities for children to explore their imaginations, improve their creativity, and cultivate key social skills. One example, from the UVA study: The share of kindergarten teachers who said they never did theater activities with their students increased from just 18 percent in 1998 to 50 percent in 2010. All of this has implications for children’s brain development. 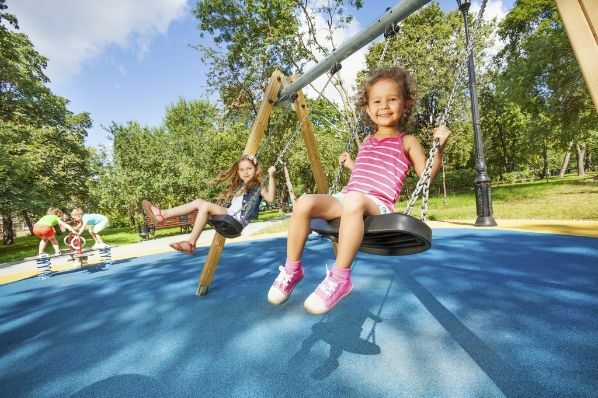 “The experience of play”—unstructured play, that is—“changes the connections of the neurons at the front end of your brain,” University of Lethbridge scientist Sergio Pellis has explained. “And without play experience, those neurons aren’t changed.” The changes in question promote both cognitive and non-cognitive abilities that help children thrive inside and outside the classroom. We found children who were better at pretending could reason better about counterfactuals—they were better at thinking about different possibilities. And thinking about possibilities plays a crucial role in the latest understanding about how children learn. The idea is that children at play are like pint-sized scientists testing theories. They imagine ways the world could work and predict the pattern of data that would follow if their theories were true, and then compare that pattern with the pattern they actually see. Even toddlers turn out to be smarter than we would have thought if we ask them the right questions in the right way. Here’s something else to keep in mind about free play and learning: In recent years, many American commentators have lauded the success—as reflected in test scores—of Finland’s education system. Fewer commentators have noted that Finnish children enjoy significantly more recess time than their U.S. counterparts. The bottom line is that, far from being a frivolous distraction, unstructured play is an essential complement to classroom instruction. For that matter, it’s also an essential complement to adult-supervised extracurricular activities. Joining a sports team, taking ballet or piano lessons, and singing in a choir are all great ways for children to pursue their interests, discover their talents, and boost their self-esteem. But when kids invent games, negotiate rules, experiment with different ideas or strategies, and resolve conflicts all by themselves, they learn skills that simply cannot be taught by a teacher or a coach. Watching my daughter play with her friends, I am always struck by the scope of their imagination, and also by their (perhaps surprising) capacity for cooperation. In this era of helicopter parents and test-obsessed schools, making time for free play—both at home and at school—is more important than ever. Mothers, fathers, teachers, and administrators should all take that to heart as they enjoy their summer vacation and look ahead to the new school year.